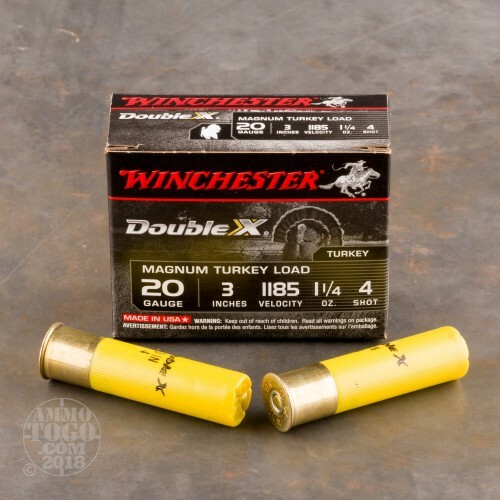 This is 20 Gauge Winchester Supreme Double X Magnum 3" 1 1/4oz. #4 Turkey Load. 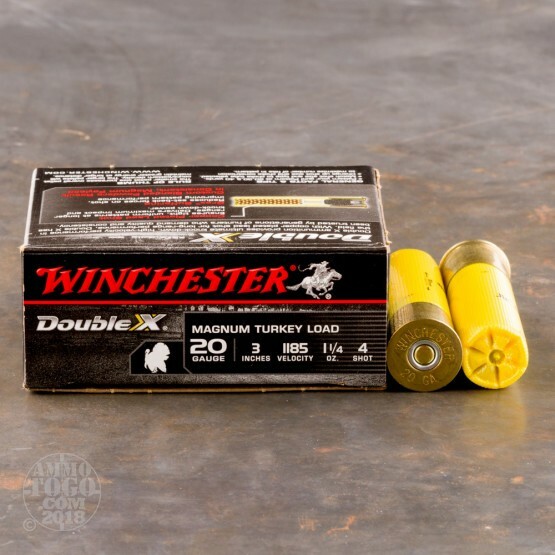 Supreme Magnum Turkey Loads are packed with all the hard-hitting, bird-bagging ingredients you need to satisfy your taste for smoked turkey. 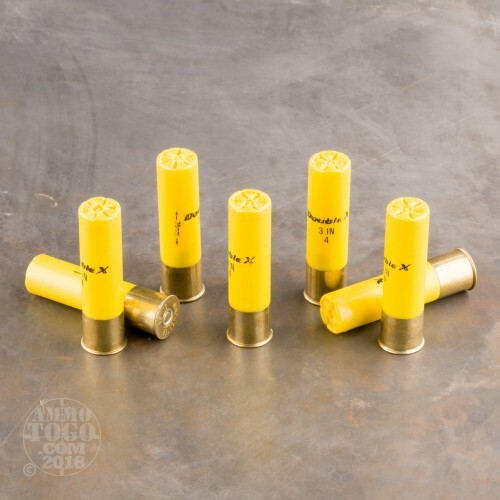 Muzzle velocity of 1185fps. 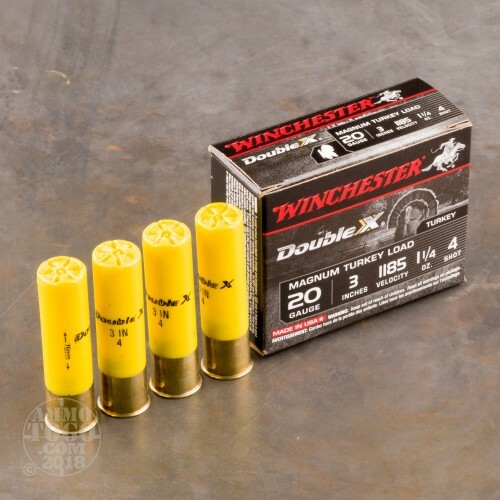 This ammo comes packed in 10rd. boxes.